A lawsuit against ICE claimed that immigrant detainees were placed in isolation in retaliation to their hunger strike, a violation of their free speech rights. US Immigration and Customs Enforcement (ICE) officials removed immigrant hunger strikers from solitary confinement Thursday, according to attorneys representing three of the detainees. 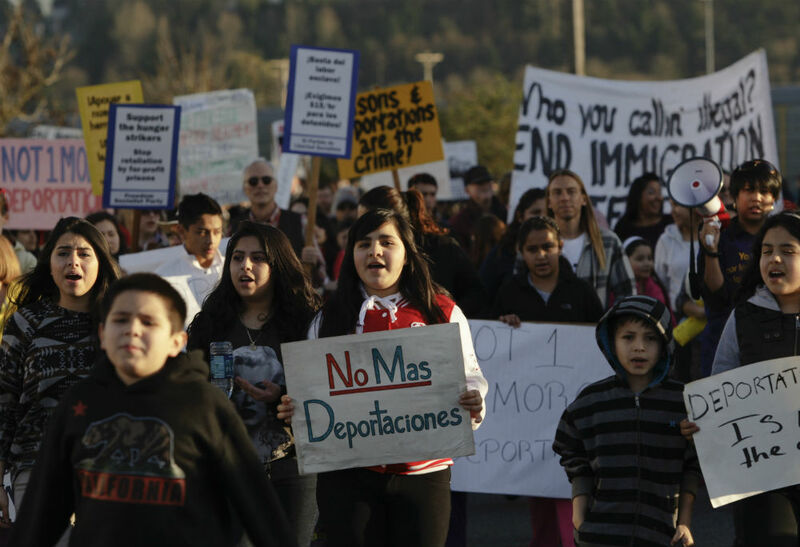 The move comes shortly after the American Civil Liberties Union Washington and Columbia Legal Services (CLS) filed a lawsuit claiming ICE officials placed the detainess in isolation cells in retaliation against their protest activities. The lawsuit argued that punishing inmates for staging a hunger strike violates their free speech rights. “We’re very pleased that ICE has stopped retaliating against detainees engaged in peaceful protest. Punishing hunger strikers by putting them in isolation cells was an unlawful attempt to chill free speech rights,” said ACLU Washington Legal Director Sarah Dunne. ICE officials denied that they acted in retaliation, claiming that the detainees placed in solitary had intimidated other inmates into joining the strike. “While ICE fully respects the rights of all people to express their opinion without interference, when these expressions infringe on the civil rights of others, ICE has an obligation to act,” the agency said in an email to the Associated Press. More than twenty immigrant detainees were punished at Northwest Detainment Center in Tacoma for participating in the strike, said Melissa Lee, an attorney with CLS, who is representing three detainees. Attorneys say prison officials called a March 27 meeting with hunger strikers, purportedly to discuss their protest demands. When about twenty detainees volunteered to attend, they were placed in handcuffs and moved to isolation cells, where they’ve been held for twenty-three hours a day since. At least 750 detainees participated in the hunger strike, initiated March 7, to protest poor conditions at Northwest Detention Center, which is privately owned by GEO Group. Some detainees renewed the protest on March 24, demanding better food and an increased wage for prison jobs, currently set at one dollar a day. For more information on the hunger strike and conditions at Northwest Detention Center, see Rose Arrieta’s report for In These Times.